The Nigerian Communications Communication (NCC) has said that inactive mobile telephone lines on its networks dropped to 62.61 million in February, 2016. This is contained in the commission’s “Monthly Subscriber Data’’ released in Lagos and made available to the press on Saturday. 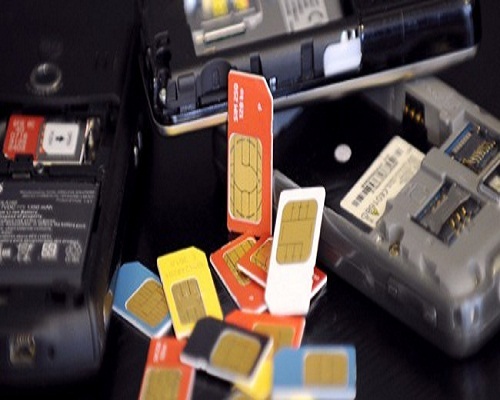 The document showed that the inactive Subscriber Identity Module (SIM) cards reduced by 523,233 in the month from 63.13 million recorded in January. It said that “connected numbers’’ figure was 214.23 million during the period, reducing by 260,644 from 214.49 million recorded in January. “The Code Division Multiple Access (CDMA) networks connected 3,677,676 subscribers as against 3,678,068 recorded in the month of January, thereby losing 392 customers in February. “The Fixed Wired/Wireless operators recorded 353,923 connected numbers in February as against 351,625 in January, adding 2,298 numbers to their networks. “Furthermore, the active subscribers on the telecommunications networks in the month of February stood at 151,620,358, increasing by 262,589 from the 151,357,769 telecommunications users in January. “The GSM networks had a share of 149,288,370 from the February 151,620,358 active lines as against 149,022,919 functional numbers in January, adding 265,451 active lines in February,’’ it said. The commission added that CDMA operators shared a total of 2,147,322 active subscribers in February, losing 660 from 2,147,982 active lines recorded in January. It also said that Fixed Wired/Wireless networks recorded 184,666 active lines in February, losing 2,202 customers from the 186,868 active subscribers in January. It explained that February subscriber data which showed a reduction of 260,644 from the connected lines in January implied that telecommunications operators we. “The reduction in the inactive line showed that telecommunications subscribers were now responding to the ongoing SIM cards revalidation exercise,’’ it stated.